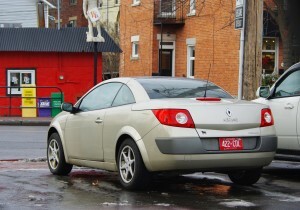 Straight outta France: 2006-2008 Renault Mégane CC, spotted in Ottawa, Ontario. Is there heroin in the rocker panels? 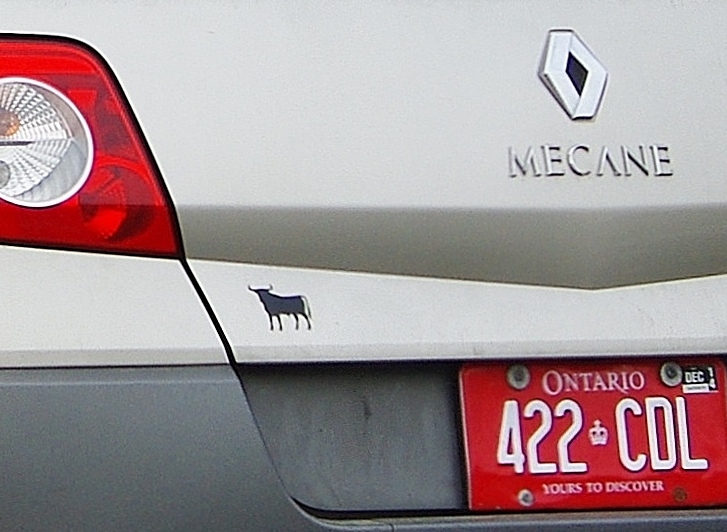 There’s no telling who owns this 2006-2008 Renault Mégane, but the diplomat plates imply it’s a bigwig from the Republic (who really wanted to bring his car with him). Exotic imports aren’t as big in Canada as they are elsewhere, so it was a treat to eyeball this French interloper, seen parked outside a Euro-centric garage near the ritzy diplomat enclave of Rockcliffe Park. Diplomatic plates make this French tourer all the more intriguing. The Mégane is Renault’s bread and butter offering – its all-important C-segment (small family car) model that space-conscious, overtaxed Europeans flock to in droves. 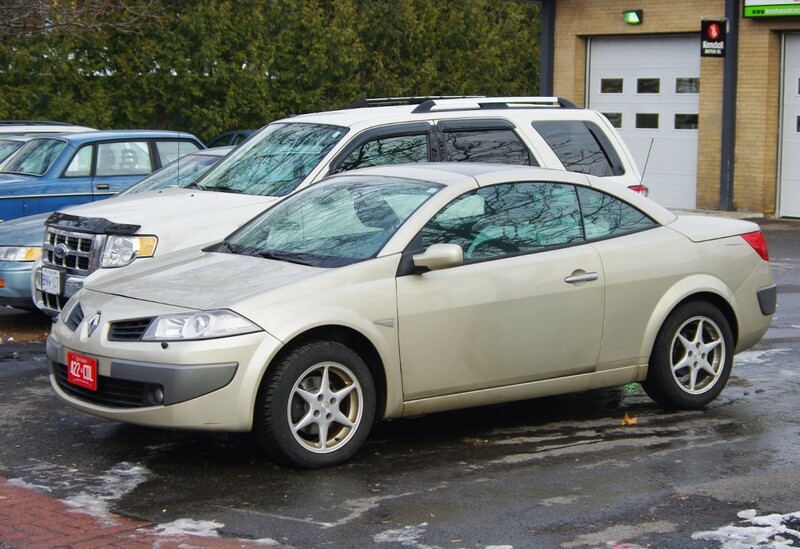 First offered in 1995, the Mégane has sprouted every possible body style over its two decades of existence, though the retractable hardtop CC (for ‘coupe-cabriolet’) is by far the rarest. Yes, you would really be living large as you cruised down the Avenue des Champs-Élysées in Paris – passionately, of course – in one of these babies. Crafted by famed design studio Karmann, this era of Mégane CC could be had with a wide variety of engines, ranging in size from 1.4 to 2.0 litres. As for sales, it was wildly successful in its home country, and saw healthy sales in neighbouring Britain. The model remains in production and continues to garner accolades, including kudos for providing a lower entry price for convertibles. However, at £23, 795 for a 2015 model, it will still set you back over $44,000 in Canadian currency. Since spotting this example, I’ve yet to see it on the roads. Hopefully, if Mr. Diplomat is still in town, the coming warm weather will lure it outdoors for some top-down motoring. 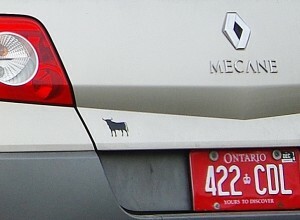 Then I’ll get my chance to ask about that bull emblem on the trunk lid. 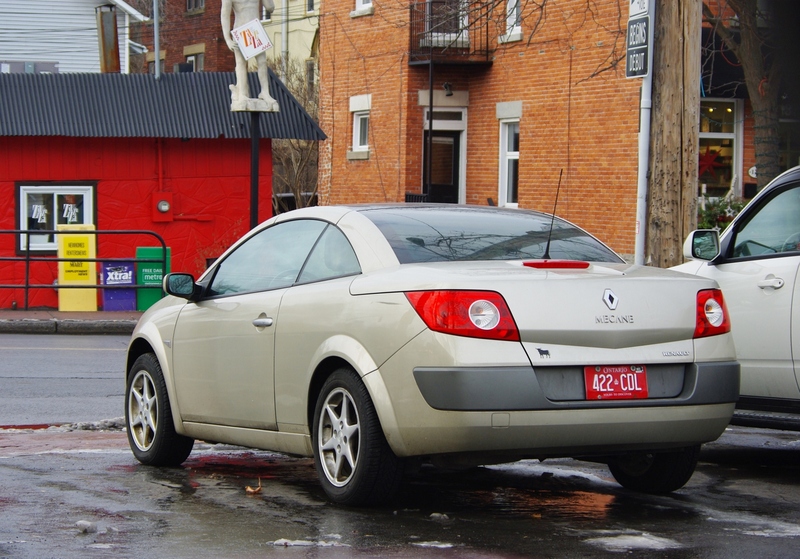 This entry was posted in Spotted in the wild and tagged Renault, Renault Megane on March 20, 2015 by Steph Willems.